Have You Been Charged with a Drug Offense in San Diego? Depending on whether charges are filed in state or federal court, the penalties and sentences for drug crimes vary, but make no mistake being charged with a drug crime is serious business. It is important to retain the services of a San Diego drug crime attorney to develop a plan of action and determine the best method of defense for the particular court where the charges are filed. Except as authorized by law, every person who possesses not more than 28.5 grams of marijuana, other than concentrated cannabis, is guilty of an infraction punishable by a fine of not more than one hundred dollars ($100). Prior to 2011, if you possessed one ounce or less of marijuana it was a misdemeanor. However, under current law convictions under this section of the Health and Safety Code are expunged from the record after two years. As the amount of marijuana involved increases, so do the consequences for a drug conviction. Penalties may include large fines and imprisonment. In state court, drug diversion programs, commonly called “PC 1000,″ for the California Penal Code section that defines them, may be available to first offenders. Completion of a drug diversion program and two years of law-abiding will result in the eventual dismissal of the criminal charges against the defendant. Proposition 36 was designed to give first time, non-violent, drug offenders an alternative to jail by allowing them to undergo probation and a drug rehab program. The rehab program lasts for one year, and there is typically a subsequent six-month period during which the defendant receives follow up care. Determining who is eligible for treatment under this law can be difficult. 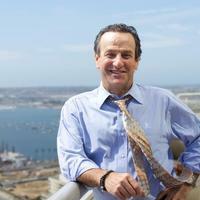 A qualified San Diego drug crime lawyer can help by reviewing the facts of your case. The impact on your life of a drug conviction extends far and wide. Imprisonment and fines will impact your ability to provide for yourself and your family. Even lesser penalties may cause you to lose your job, and impact your ability to find employment in the future. You need an experienced drug crimes attorney who is knowledgeable about the complex federal and state drug laws to help you navigate the legal process once you have been arrested. In addition to mounting an aggressive defense for my clients, I have also successfully represented clients in asset forfeiture cases resulting in the return of cash and/or property. Put my years of successful experience in defending drug crimes to work on your case by calling today for a free consultation (619) 239-2186.